A corporate venture: to be or not to be? Silicon Valley startup Stripe is the latest in a long line to create a partnership with corporates. But whilst these partnerships are gaining momentum, before you dive straight into trying to work with corporates it’s imperative you trust in them and have faith that your idea, knowledge or skills are in a safe pair of hands. For example, before embarking on a partnership with a corporation, startups need to ask some very important questions. Can you visualise what short- or long-term success would look like? What do you need help with from a corporate and why are they the best partner to do so? Do you have something valuable to offer the corporate that no one else can? Why are the people at the corporation right for your startup? Startups can offer corporates quick fixes such as plugging a skills gap. But if the long-term objective is mutual growth, the corporate may need to invest ahead of the curve in terms of time, expertise and finance to see a greater, more valuable return down the line. For example, Transport for London (TfL) is willing to share valuable travel data so that startups such as Citymapper can create brilliant products that benefit both their customers and London travel. TfL understood the long-term vision of improving London’s transportation through startup collaborations. Successful partnerships are forged if you are open about the end outcome and both parties are realistic with their expectations. Agree together what success would look like for both parties, such as being aligned around an exit or working towards mutual growth. Look for corporates that focus on being seen as open to collaboration, with an attitude of ‘what do they have to offer’ rather than ‘what do they have to gain’. This might look like an accelerator programme. BT Infinity Lab is a competition for startups. This year’s competition was aimed at British startups and small businesses working on technologies related to the Internet of Things. Startups benefit from research, expertise, technology and marketing capabilities – plus the resulting tech can be offered to BT customers in controlled trials. Disney’s accelerator programme resulted in a partnership with Statmuse, a sports data platform that now provides Disney with statistical content for its sports channel ESPN. Anything you can do as a startup to illustrate your growth potential and link it to potential benefits for the corporate is an important step in framing your startup as an attractive partner. You should also be crystal clear and transparent about what you need help with and why the corporate would be the right party to assist. VC and angel networks are investing heavily in the tech space, so non-tech startups are continuously exploring corporate partnerships instead. When looking for corporates to work with you need to understand the smart money they can add – value that stretches beyond cash. The most powerful partnerships are formed when working together results in solving the problems faced by people or consumers that no-one else could solve. A great example is the Co-op, which partnered with social enterprise The British Red Cross to tackle loneliness amongst the elderly, who often spend prolonged periods of time at the supermarket to combat loneliness. Co-op employees were taught how to spot this behaviour and engage with those people. Barclays also looked outside of tech partnering with Veterans Employment Transition Support (VETS). The partnership educates veterans about spending, as they have often saved lots of money whilst away on service, as well as how to gain employment outside of the armed forces. A lot of them become Barclays customers so it’s a win-win for both parties. Partnerships can go sour for different reasons, like disagreements over what success should look like or the equilibrium of the partnership itself; a one-way value exchange is not a true partnership. In addition, if the corporate is unwilling to differentiate in the way that it treats a startup versus its existing areas of business, then the partnership is unlikely to bear fruit. Entering a corporate partnership is like entering a marriage – it’s a big step and can be a long-term commitment. As such, it’s imperative that you’re selective about whom you partner with. Are they going to be give you space to grow? Will they empower you as an entrepreneur and help you to deliver your goals? When money is involved there are always demands. You have to decide early on what you’re willing to change or even give away for this partnership to work and be mutually beneficial. And if it doesn’t feel right for whatever reason – avoid it. 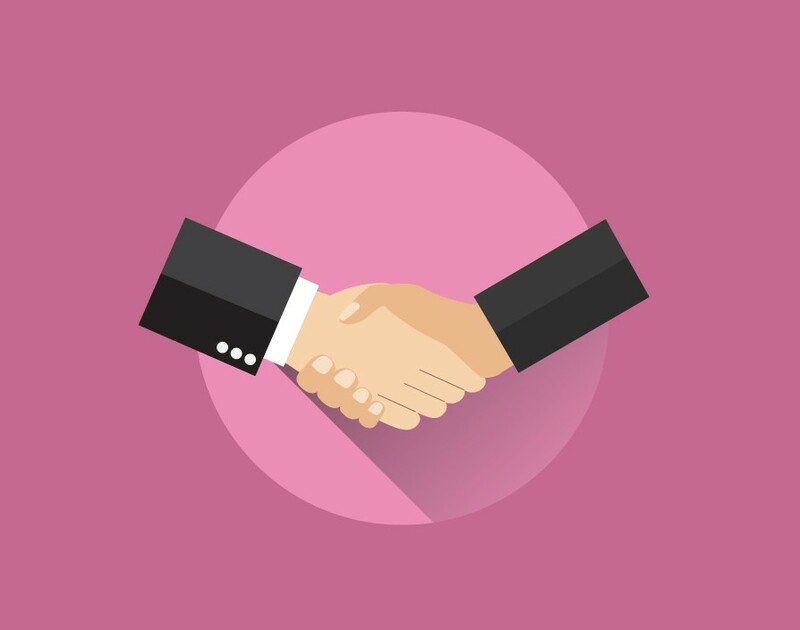 Whether you’re a startup or a corporate, entering a partnership can be risky business. With agencies jumping on board the corporate-venturing bandwagon, it is vital that both sides do their due diligence before pursuing a formal partnership. Identify what you need from the other side but try to start with what you have to offer. Don’t enter a partnership on a whim. Make sure you both want in for the same reasons.